A story about the rise of Nurture Idaho was featured on The Edible Schoolyard Project this week. 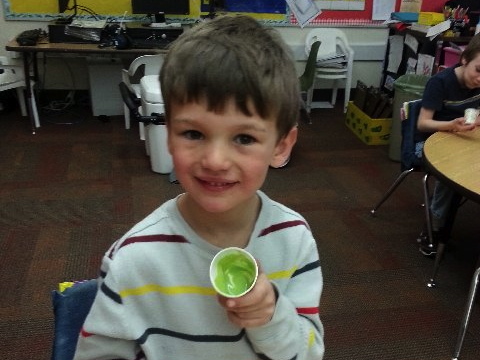 Written by Nurture Idaho director of operations Stacy Whitman, the piece (re-published below) offers an inside look at our school-based Food & Fun classes. What a thrill to have our work noticed by the founders of the Delicious Revolution. Thank you, Edible Schoolyard, for all you do promote edible education in schools! “For ENERGY!” shouts an enthusiastic young boy in a striped t-shirt. We’re at the start of one of Nurture’s signature Food & Fun classes, and this group of eager 5- and 6-year-olds is here to learn about making healthy eating choices. After an interactive nutrition lesson and Go/Slow Relay, the children will wash up before gathering around a blender to make “Go!” smoothies with whole fruits and fresh spinach. Some of the kids have never eaten spinach before. Others say “Yuck!” or make a face when the word is first mentioned. Soon enough, however, they will be placing dark green leaves, blueberries and yogurt into a glass blender jar. After it’s done whirring, they’ll take a tentative sip, smile, and guzzle it down. Most will request seconds. Later, when they see their parents, the kids will rave about the yummy drink and ask if they can make it at home. Their parents will be dumbfounded and pleased. Mission accomplished. It’s these kinds of results that have led to a hot demand for Nurture’s programming in our Central Idaho community. In just two years, our non-profit organization has gone from teaching two classes a month, to school-wide programming at a private K-8 school plus programming at four out of five local public elementary schools. What began as one mom’s volunteer effort is now positively influencing the eating habits of hundreds of children and their families. And with the help of the Blue Cross of Idaho Foundation for Health, Nurture soon will be expanding to other parts of Idaho. 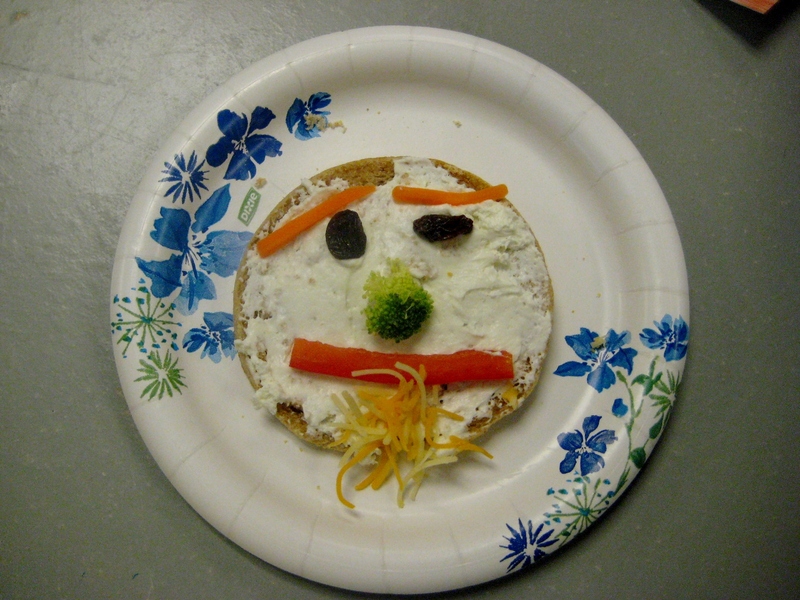 Nurture has been providing food education to kids and parents in the Chicago area since 2008. In 2011, Nurture founder Kathryn Guylay decided to trade fast-paced urban life for the laid-back mountains of Sun Valley, Idaho. With no intention of starting an Idaho chapter, Kathryn realized that she missed working with children and offered to teach a couple Food & Fun classes at her son and daughter’s new school. It wasn’t long before other schools caught wind of the Nurture Elementary Nutrition and Wellness Program, too. Suddenly, Kathryn found herself in the position of having to bring on several nutrition educators, a program coordinator and other part-time administrators to meet the demand. 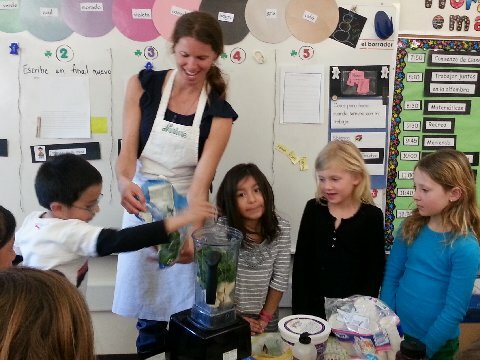 When Nurture first started, Kathryn spent a lot of time trying to convince people of the importance of food education. Now, thanks to Michelle Obama’s Let’s Move campaign and organizations such as Jamie Oliver’s Food Revolution and The Edible Schoolyard Project, school administrators, teachers and parents are lining up to ask for it. 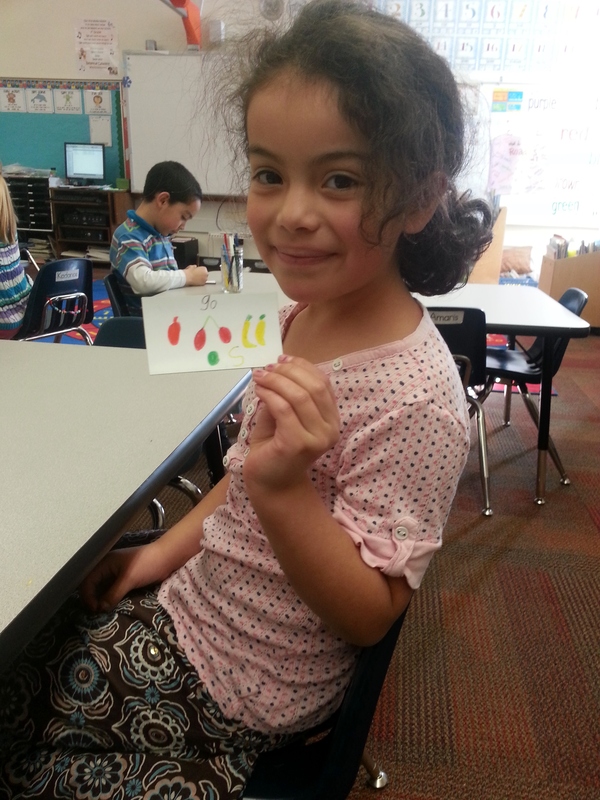 “Teachers want their kids eating healthy foods because they know how it affects their performance,” Kathryn explains. Learn more about Nurture Idaho’s work in schools on the Nurture site and on the Edible Schoolyard Network. 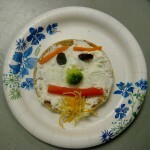 This blog post was originally published by The Edible Schoolyard Project.